We saw the text window is useful for input and output of text based information. 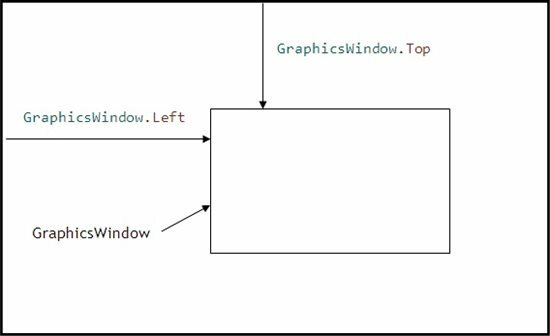 In this chapter, we look at the object used to host most Small Basic programs – the GraphicsWindow. With this object, we can build very power applications. 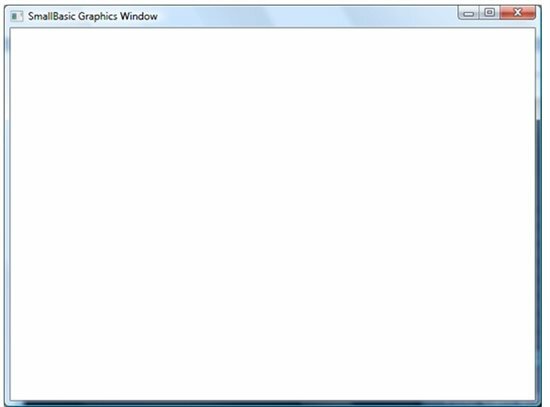 Specifies whether or not the graphics window can be resized by the user. Can be “true” or “false”. Gets or sets whether or not the font to be used when drawing text on the graphicswindow, is bold. Gets or sets whether or not the font to be used when drawing text on the graphicswindow, is italic. Gets or sets the font name when drawing text on the graphics window. Draws a line of text on the screen at the specified location (x, y) within a region bounded by width w and height h. Helps define when text should wrap. Uses current brush and font properties. 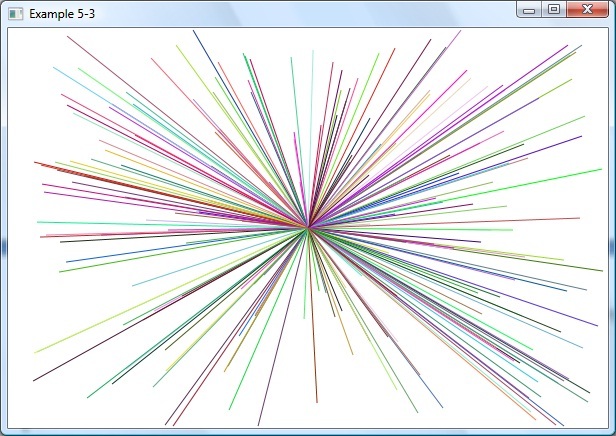 Draws an ellipse (width w, height h) at (x, y) on the screen using the current pen. Draws the specified image from memory on to the screen at (x, y). Draws a line from one point (x1, y1) to another (x2, y2). Uses current pen. Draws a rectangle (width w, height h) on the screen at (x, y) using the current pen. 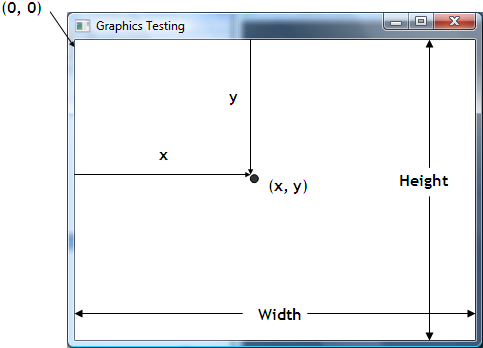 Draws the specified image from memory on to the screen at (x, y), in the specified size (width w, height h). Draws a line of text on the screen at the specified location (x, y). Uses current brush and font properties. 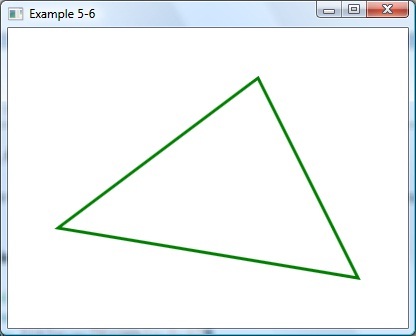 Draws a triangle connecting the three input points on the screen using the current pen. Fills an ellipse (width w, height h) on the screen at (x, y) using the current brush. Fills a rectangle (width w, height h) on the screen at (x, y) using the current brush. Fills a triangle connecting the three input points on the screen using the current brush. Constructs a color give the red, green, blue values (0-255). Returns the color. Gets a valid random color. Returns the color. Draws the pixel specified by (x, y) in the color c.
Displays a message box (with message text and title) to the user. Raises an event when text is entered on the graphics window. The default window is 624 pixels wide (Width) by 444 pixels high (Height). 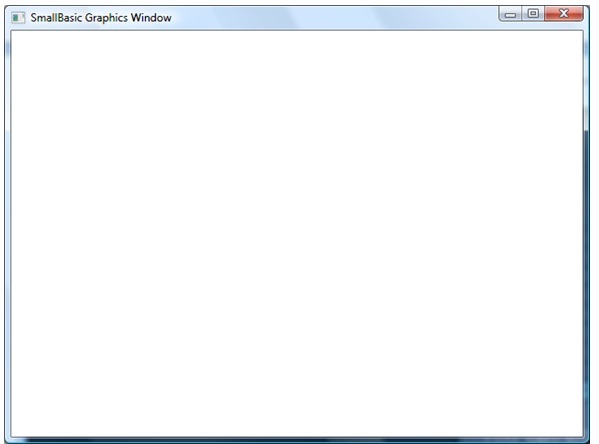 To change the background color for the entire window, set the GraphicsWindow.BackgroundColor. builds a color based on three specified components: Red,Green, Blue, each of which range from 0 to 255. And, as mentioned, the default value for this color is “White”. The default value for PenColor is “Black” and the default PenWidth is 2. The default value for BrushColor is “SlateBlue”. The FontName property is the name of the font. The default value is “Tahoma”. Other font names can be found by opening a word processor and selecting the change font option. The FontSize property sets the size of the current font. The default value is 12. FontBold can have one of two values. If “true”, the font will be bold. If “false”, it will not be bold. The default value is “true”. Similarly, FontItalic indicates if a font is italicized. The default value is “false” – no italics. Write a program that writes “Graphics Window” in a large, bold, italic font in the middle of a yellow graphics window. Set window size to 400 by 150 pixels. Saved as Example 5-1 in Guide to Small Basic\Programs\Chapter 5 folder. 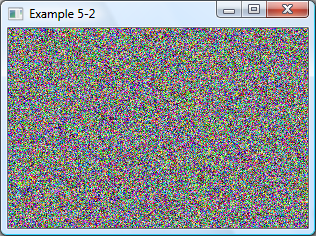 Write a program that fills a graphics window with randomly colored pixels. Saved as Example 5-2 in Guide to Small Basic\Programs\Chapter 5 folder. This code just “marches” through all the pixels and assigns a random color to each. Write a program that draws randomly colored lines from the center of a graphics window out to some random point in the window. Saved as Example 5-3 in Guide to Small Basic\Programs\Chapter 5 folder. Each line has the same starting point (the center of the window). Then, lines are drawn to the random point (X, Y). 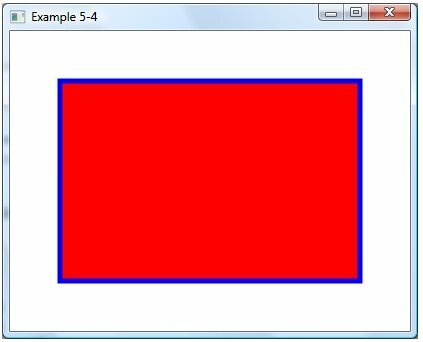 Write a program that draws a red rectangle, surround by a blue border. Saved as Example 5-4 in Guide to Small Basic\Programs\Chapter 5 folder. 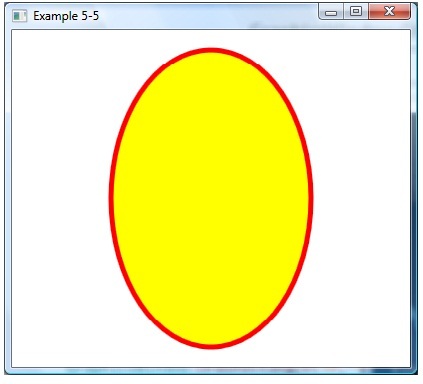 Write a program that draws a yellow ellipse, surround by a red border. Saved as Example 5-5 in Guide to Small Basic\Programs\Chapter 5 folder. Write a program that draws a green-bordered triangle that connects these three points (250, 50), (50, 200), (350, 250). Saved as Example 5-6 in Guide to Small Basic\Programs\Chapter 5 folder. How colors and fonts are used in the graphics windows. Drawing with DrawText, DrawPixel, DrawLine methods. Drawing and filling rectangles, ellipses, triangles. 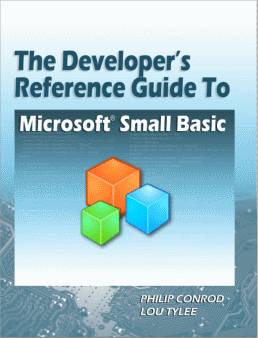 We will do a lot more with the graphics window as we learn more about Small Basic. In particular, we will learn about using the graphics window events to recognize key presses and mouse clicks. Next, we learn about some of the controls associated with Small Basic and the idea of event-driven programming. © Copyright 2010 By BibleByte Books. All Rights Reserved. BibleByte Books, the BibleByte Books Logo, Computer Science For Kids, the Computer Science For Kids logo, and related trade dress are trademarks or registered trademarks of BibleByte Books.